Every last Saturday of the month, from around 3 pm until whenever people leave, the lab opens up our front door to members of the public. We’re specifically excited about folks who want to show off projects they have made or are working on, want to ask for help with making something awesome, or want to help out on other folks’ projects. Bringing a laptop along to just chill out with other geeks is also welcome. There’s no minimum skill level required to participate, and we do our best to be a respectful, friendly environment for everyone. Regretfully we are not wheelchair accessible – there are steps leading up to the floor the lab is on. As a heads-up to folks with sensory processing issues, the Tuesdays can get quite busy and noisy. 3-5pm tends to be the busiest time, but in our new larger space there are usually places you can get away from it. Members of the media are also welcome, but in the interest of member privacy, we have cute little press passes hanging by the door and require that permission is sought before taking photos with people in them. Arduino Beginners Workshop for total beginners, all are welcome. A-Train and Zach will show you how to get started with Arduino, the super-friendly microcontroller platform that even artists love. 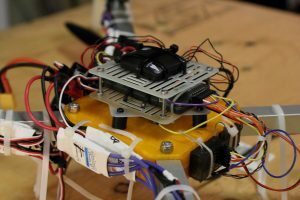 We’ll cover getting the software installed and going, hooking up the Arduino, and a little bit of basic programming, via explanation of the Examples. You too can cut and paste your way to a working project! You’ll need an Arduino kit and laptop on which you can install software. You can purchase an Arduino at Creatron at 349 College St, Toronto, ON M5T 1S5 (or online, of course) and you’ll need the appropriate cables to connect it to your comptuer. 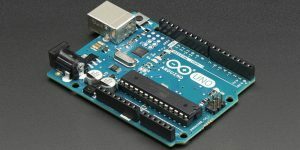 The Arduino Uno is the recommended board for beginners, but any Arduino will do if you have a more specialized project in mind. The Useless Duck Company built a Rocket Powered Birthday Cake at the HackLab last month. Janus VR scans the first Hackerspace with their Matterport and Matterscan scanner.